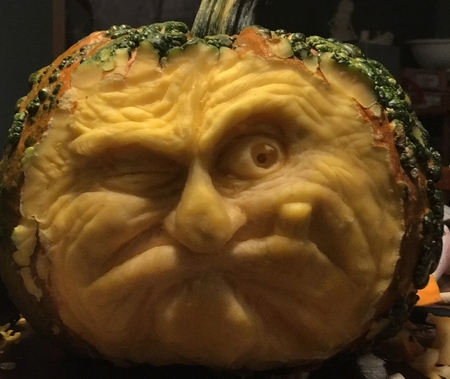 I really admire the detail and precision that went into carving this grumpy old man face on a pumpkin. The pumpkin looks like he's really admiring something too. I'm not sure I want to know what.